Literacy Initiatives: Rock the Drop! readergirlz is a literacy and social media project for teens, awarded the National Book Foundation's Innovations in Reading Prize. 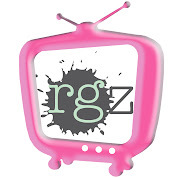 The rgz blog serves as a depot for news and YA reviews from industry professionals and teens. As volunteers return full force to their own YA writing, the organization continues to hold one initiative a year to impact teen literacy. All are welcome to "like" us on Facebook! Attention Filmmakers and Readers: Make a Snowblind Trailer! Want to show the world what you can do AND spread the love of a good book? St. Martin's Press and Talenthouse are accepting 1-minute trailers for Christopher Golden's upcoming book SNOWBLIND. All of the submitted videos will be seen by some pretty cool folks - legitimate directors, writers, producers - and one will be selected to be the book's official trailer. If you are interested, you should enter. If you know other filmmakers - be they amateur or professional, adults or teens or kids - please let them know about this incredible opportunity. Trust me. I've read the book, and it's amazing. With edge-of-your-seat tension and jaw-dropping twists, Christopher Golden's Snowblind blizzard is going to blow you away! So what are you waiting for? Spread the word, gather a production team, and make that mini-movie! Here's the official press release and all of the pertinent information. Good luck! St. Martin's Press and Talenthouse invite amateur filmmakers to produce a short horror book trailer for SNOWBLIND, the highly anticipated novel by New York Times bestselling author Christopher Golden. The winning trailer will be heavily promoted and used as part of an integrated marketing and advertising campaign for the book and will also receive a consultation with one or more of the judges to discuss their work. FRANK DARABONT (Director, Writer, Producer) - The Shawshank Redemption, The Green Mile, The Walking Dead, Mob City, among others. DAVID S. GOYER (Writer, Director, Producer) - Man of Steel, The Dark Knight Trilogy, Blade, Da Vinci's Demons, among others. DON MURPHY (Producer) - Transformers 1-4, Real Steel, Natural Born Killers, Vampire Academy, among others. STEPHEN SUSCO (Writer, Producer) - The Grudge 1 and 2, Texas Chainsaw 3D, Red, High School, among others. CHRISTOPHER GOLDEN (Author, Editor) - Of Saints and Shadows, Baltimore, Tin Men, The New Dead, among others. Video should be a maximum length of 1 minute. - A woman sitting on her bed with the covers drawn up, hugging her knees, staring in terror at the window with the wind rattling the glass, snow piling up against it or pelting it. - A woman smoking a cigarette outside a bar at night with the snow falling. She hears a sound, turns, looks terrified. - An anchor reads the news about the blizzard and what happened twelve years ago and then the power goes out and you hear the whistling of the wind as snow whips across the screen, perhaps suggesting the image of evil features looking in. The presence of the snowstorm/blizzard may suggest digital effects but they are not required. Entrants may devise their own approach to representing the ominous presence of the storm and the fear of the townspeople. Judges will consider many factors, including imagination and ingenuity. Did you all see this article from Charlotte Church on Digital Music News from her lecture? What do you think? Any crossover to YA? Literature in general? Welcome to readergirlz, where YA writers collide with YA lovers and the result is pure awesome!" "i love being a part of readergirlz, i feel so special! i feel like i finally belong somewhere, finally!" "You guys make me feel so awesome about being who I am. You all have a special place in my heart that can't be filled by anyone else. :)"
"You're bringing me Stephenie Meyer tonight. Do you have any idea at all of how much I love you people? Monuments shall be erected in your honor!" Aside from book ownership, and library loans, readergirlz uses limited book donations from publishers for review. Books are donated to special literacy projects. Opinions expressed on this blog are held by individuals, and they are not necessarily the opinions of the rgz nonprofit organization.